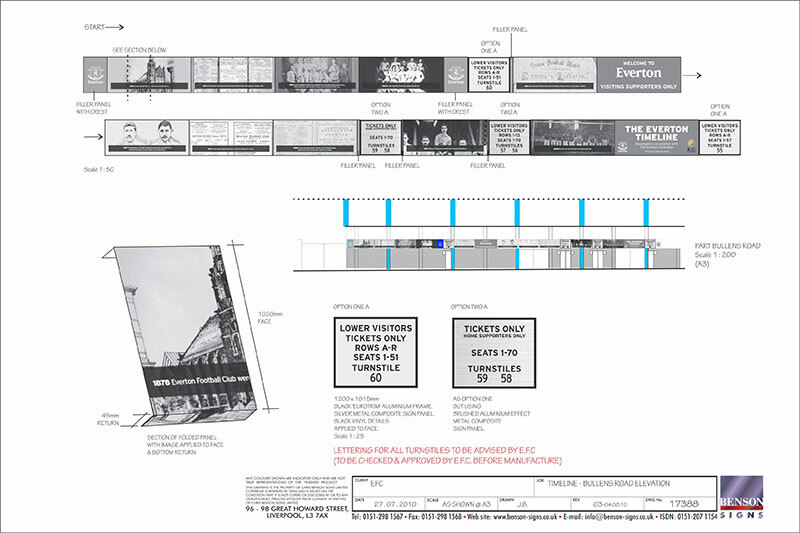 During the summer of 2010 we were invited to attend a meeting at Everton FC Design department to help configure proposed timeline signage. 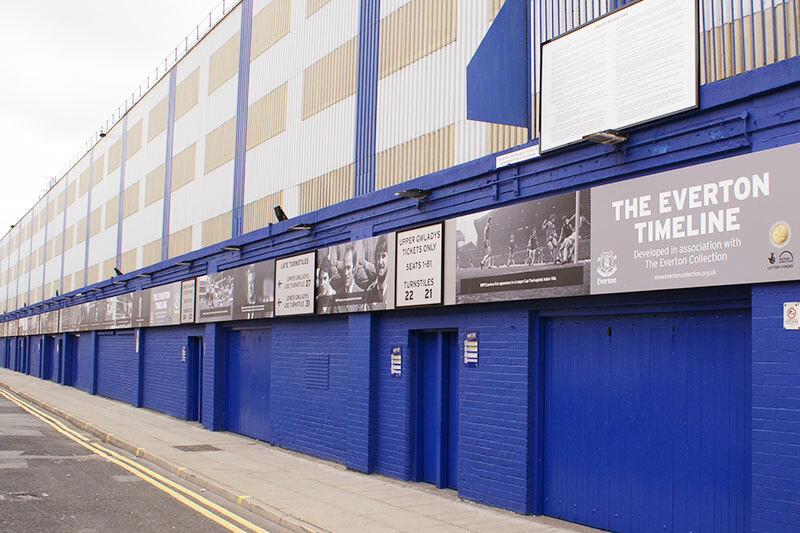 The timeline was to be a continuous band of panelling, over 1 metre deep, fixed at fascia height to the perimeter of the stadium. 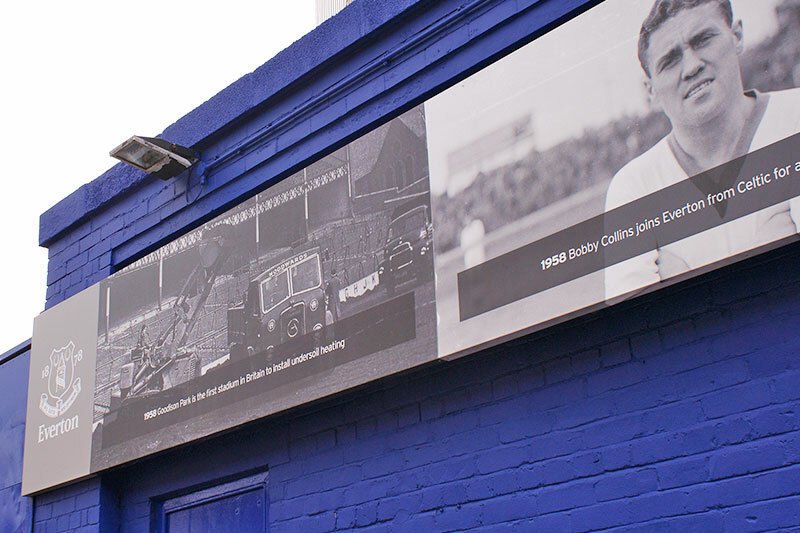 The graphics would illustrate the history of the club from 1870 to the present day. The first challenge on this unique project was to position the graphics correctly in relation to the fabric of the building. We had to consider the positions of turnstiles, recesses, protrusions and other anomolies of this venerable stadium. So, a detailed survey was carried out, lasting two days, to ensure every dimension and angle was logged. 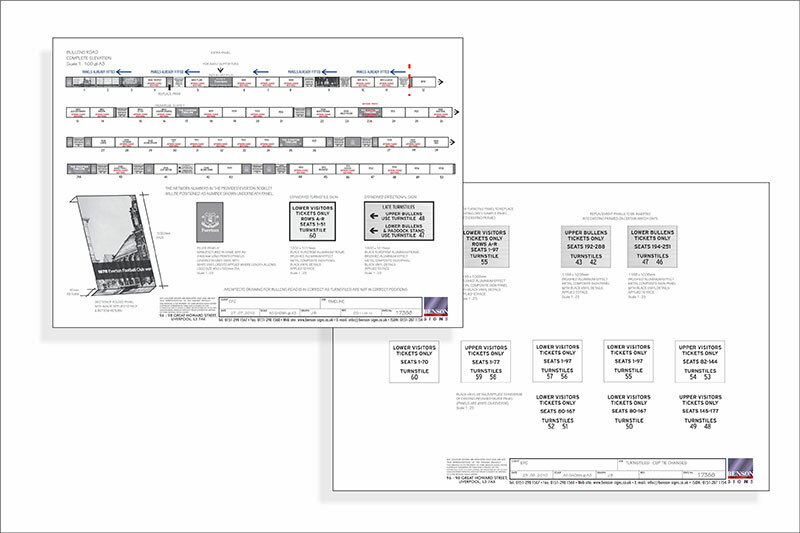 Artwork could then be adjusted to fit exactly into the areas available. The second challenge was to meet the clients deadline of installation before the first home game of the season... just two weeks away! Almost half a kilometre of 3mm thick composite material was cut to size with high quality black & white printed vinyl imagery applied. The existing signage was removed a road at a time and the two day survey paid dividends with the new panels installing trouble free and in their intended positions. 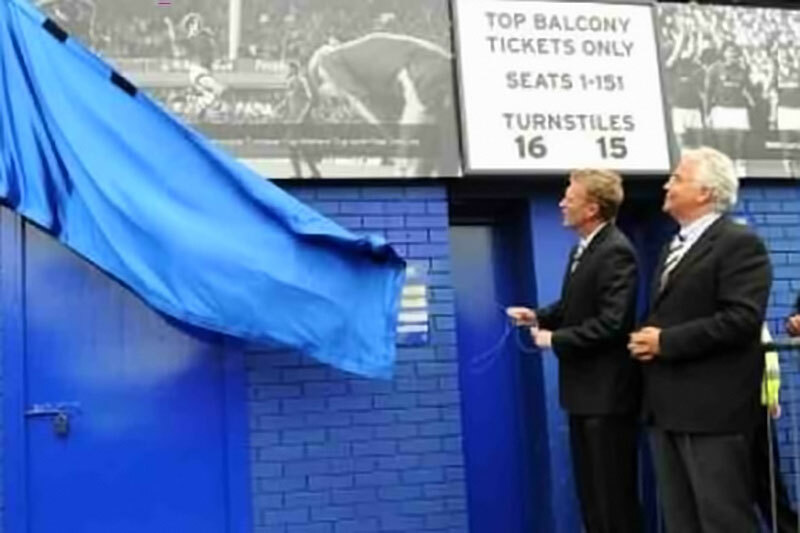 Operating a shift pattern of production and installation, once again Benson Signs delivered on time, installing the opening ceremony curtain just one hour before the first home game with proud Everton FC Chairman Bill Kenwright and Manager David Moyes in attendance. 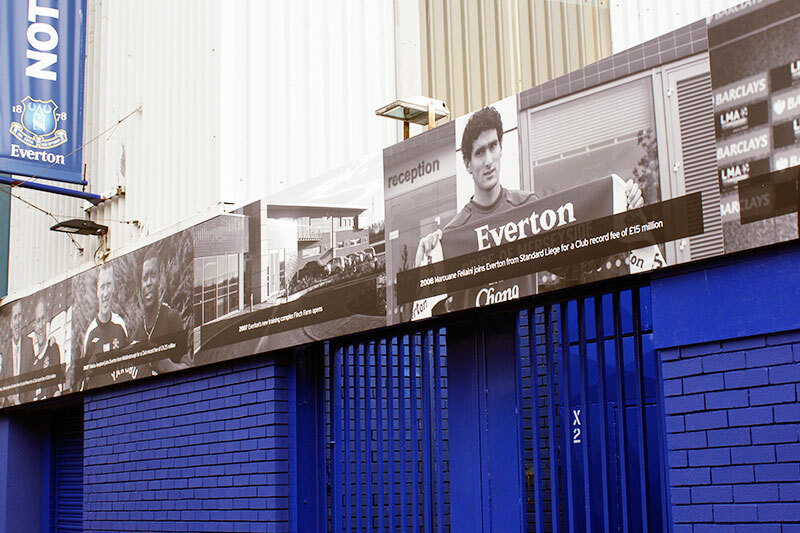 UV Printed Composite Sign Panels around perimeter of premiership football club.